See below for EarthByte content related to Maral. Müller R.D., Seton, M., Zahirovic, S., Williams, S.E., Matthews, K.J., Wright, N.M., Shephard, G.E., Maloney, K.T., Barnett-Moore, N., Hosseinpour, M., Bower, D.J., Cannon, J., 2016. 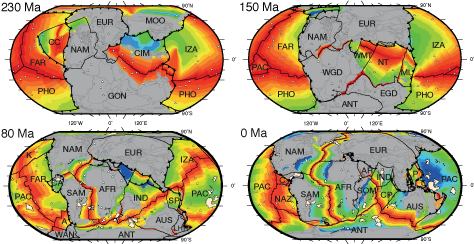 Ocean basin evolution and global-scale plate reorganization events since Pangea breakup, Annual Review of Earth and Planetary Sciences, Vol 44, 107-138. DOI: 10.1146/annurev-earth-060115-012211. Tonight was the annual School of Geosciences Awards Evening held at the Macleay Museum. Congratulations to EarthByters Mike Tetley, Dr Sabin Zahirovic, Andrew Merdith, Sarah MacLeod, Carmen Braz, Luke Hardiman and Serena Yeung for receiving academic and School service awards! Dr Maral Hosseinpour was photographer for the evening and took some brilliant photos! Congratulations to Maral Hosseinpour who submitted her PhD thesis today. 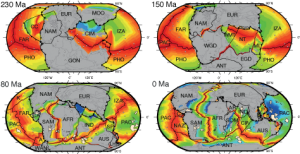 EarthByte warmly welcomes new PhD student Maral Hoseinpour who has started her PhD on plate deformation models of passive margins.